Just on the eve of the Champions League, Naples has relived the nightmares of Belgrade. As then also with Chievo ended 0-0, in a match where the Neapolitans have created many goals, but without succeeding to finalize. But if in the league Juve has escaped to +8, in the Champions League has the same points of Liverpool and one on the PSG and would pass if the British win the other game. The Red Star surprised everyone with the perfect counterattacks of Pavlov, who gave a historic victory over Liverpool with a double. It will be the Serbian bomber to be the offensive reference in 4-4-1-1, with Marko Marin, ex-Fiorentina, behind him. Should start from the bench Boakye, 25 appearances in our Serie A. Ancelotti should bet on 4-4-2. Callejon and Zielinski will be the outsiders, while Insigne will join the other side, Milik or Mertens, even if the Belgian goblin played 90 ‘against Chievo. 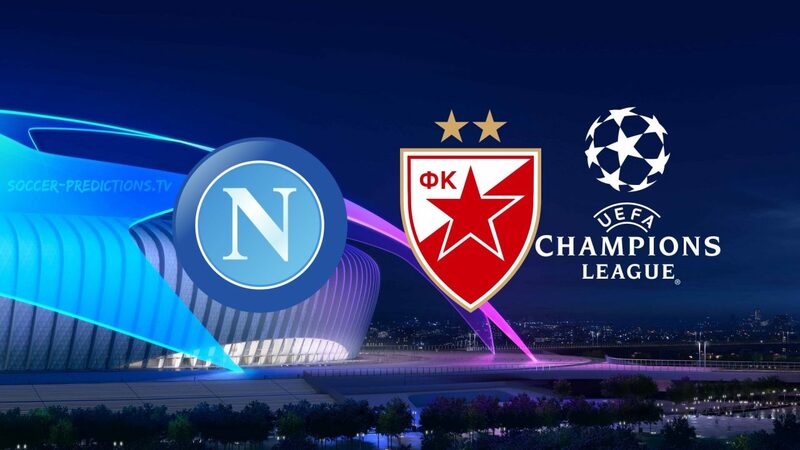 Napoli have 6 points in the group C of the Champions League, two more than the Red Star. The Neapolitans are unbeaten in the 9 home games, of which 6 won. The Serbs have suffered well 10 goals in the 2 away games against PSG and Liverpool. The Red Star has won only one of the 9 Italian trips, rematching 2 draws and 6 defeats, all without scoring. Lorenzo Insigne scored 3 of Napoli’s 4 goals in the Champions League.